Several Christians were recently barred from sharing the Gospel in a public park in Duluth, Minnesota during an annual event called the Tour of Lights. Steve Jankowski states that he and three other friends were forced to move to a “free speech zone” outside of the event under threat of arrest when police saw that they were evangelizing in the public park. 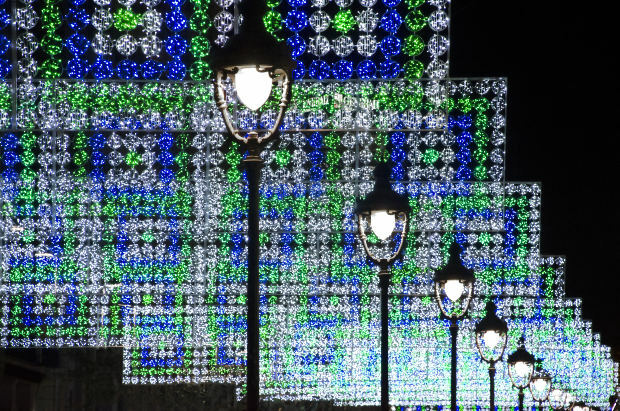 Police reportedly told the men that because event organizers had obtained a permit for the lights display, which was open to the general public, the area was now considered private property. Michael Winandy, one of the Christians accompanying Jankowski, then informed the officer that there is an injunction in effect against the city, which prevents them from barring speech in the park during the Tour of Lights. “Okay, what I’m telling you is that our city attorney has given us direction that if you want to practice your First Amendment right, which is perfectly fine, that you have to be in that First Amendment zone,” the officer replied. When asked what would happen in the men continued to distribute literature in the park, the officer explained that the Christians ran the risk of being incarcerated. Then men then decided to leave and contacted their attorneys for assistance. Alliance Defending Freedom (ADF),which had represented Jankowski the previous year, confirmed that a federal judge indeed issued a restraining order against the city, preventing them from prohibiting speech during the Tour of Lights. “Defendants are hereby enjoined from interfering with or prohibiting Plaintiffs and other third party speakers from engaging in protected expression, in the form of peaceful distribution of literature, display of signs and engaging in dialogue, in Bayfront Festival Park during the 2011 Tour of Lights event and all other future Tour of Lights events that are governed by the Bentleyville Tour of Lights Agreement 2010-2013, or until further Order of this Court,” wrote Judge Michael J. Davis. ADF says that it is disturbed that the city has chosen to defy the order, and will be notifying the court of the matter. The court had agreed that Jankowski and his friends were involved in peaceful expression and were not posing any problems to the event attendees. “[I]t is unlikely that the City could justify restricting the Plaintiffs’ activities, which by all accounts, are peaceful and respectful,” Davis wrote. However, the city now argues that because it has a different arrangement this year with event organizers, they no longer need to follow the court order. “The city waited more than a month–until just days before the 2012 Tour of Lights event–to disclose the new contract in a letter from assistant City Attorney Nathan LaCoursiere which stated that ‘it is the city’s position that the previous injunction issued in this matter no longer applies,'” ADF explained. The matter will now be decided by the court as ADF filed an emergency motion this week, asking that the City of Duluth would be held in contempt. City officials were not available for comment at press time.